It was recently announced that the CuisinArt Golf Resort & Spa in Anguilla, the most northerly of the Eastern Caribbean's Leeward Islands, will be getting a sister property - The Reef by CuisinArt. About The Reef by Cuisinart - Located on Merrywing Bay on the Caribbean coast of Anguilla, The Reef by CuisinArt is a member of Small Luxury Hotels of the World, which selects only independently-minded properties with one thing in common: excellence. The Reef is a contemporary beachfront oasis of luxury that will feature stunning accommodations, world-class dining, cutting-edge technology and a plethora of activities including unique watersports, tennis with hardcourt play and preferred rates and tee times at CuisinArt Golf Club. Guests will also have access to the award-winning Venus Spa and additional culinary outlets offered at CuisinArt Golf Resort & Spa. NEW YORK, NY – July 13, 2016 – Enviably situated on Merrywing Bay on the tranquil island of Anguilla, The Reef by CuisinArt will debut in November 2016, revealing a beachfront contemporary oasis featuring 80 suites, directly on the Caribbean Sea. The Reef by CuisinArt will feature a dramatic lobby entry and stunning bar, a fitness center with Technogym Excite Line, Unity Displays and aqua cycling bikes, a library and a boutique, complimentary watersports, and hardcourt play on the two tennis courts. The culinary teams have combined their global talents to create menus that will offer locally-sourced items and ingredients from the Hydroponic Farm for the hotel's restaurant outlets. The Yacht Club, which will feature brilliant nautical appointments and open to the spectacular pool, will serve breakfast and lunch, as well as a menu of inspired seafood selections for dinner. Breezes, a dazzling beachfront restaurant and bar, will draw those craving a relaxed Caribbean experience, and the calming sounds of the sea are the perfect accompaniment to a menu of unique beverage and food options. A member of Small Luxury Hotels of the World, The Reef’s 80 accommodations will include 25 Golfview Junior Suites and 25 Seaview Junior Suites in the main building. Four additional beachfront buildings will house 30 accommodations ranging from Beachfront Junior Suites, to Corner Beachfront Junior Suites, Superior Beachfront Junior Suites and Deluxe Beachfront Junior Suites, two of which will contain dramatic outdoor Jacuzzis. Accommodation amenities will include a TV system with state-of-the-art technology, bedside “smart” control panels, Tivoli Bluetooth enabled audio systems, and more. Bathroom amenities will include products by Rusk and L’Occitane, as well as double sinks, a separate shower, and a freestanding Alissa oval bath. As part of The Reef experience, guests will enjoy access to all amenities of CuisinArt Golf Resort & Spa, including preferred rates and tee-times at the 18-hole Greg Norman Signature design championship course, full access to the award-winning Venus Spa, as well as signing privileges at all facilities and dining venues. Complimentary transportation will be provided throughout the estate. Set in the heart of downtown, between the Nile and the iconic Tahrir square, experience Cairo like never before at The Nile Ritz-Carlton. The spacious hotel suites are designed for guests to spread out, entertain, and to be completely comfortable within superior surroundings. The diverse dining options include a rooftop bar, afternoon tea service, and a rustic Italian restaurant. Relaxation enjoys a traditional Egyptian twist at The Nile Ritz-Carlton Spa. Guests have access to the five-star facilities, including the state of the art gym, the sauna and steam room, and the swimming pool. The closest neighbor to the Arab League and adjacent to several government ministries and the US, UK and Canadian embassies, this luxury Cairo hotel is the ideal location for meetings and events. 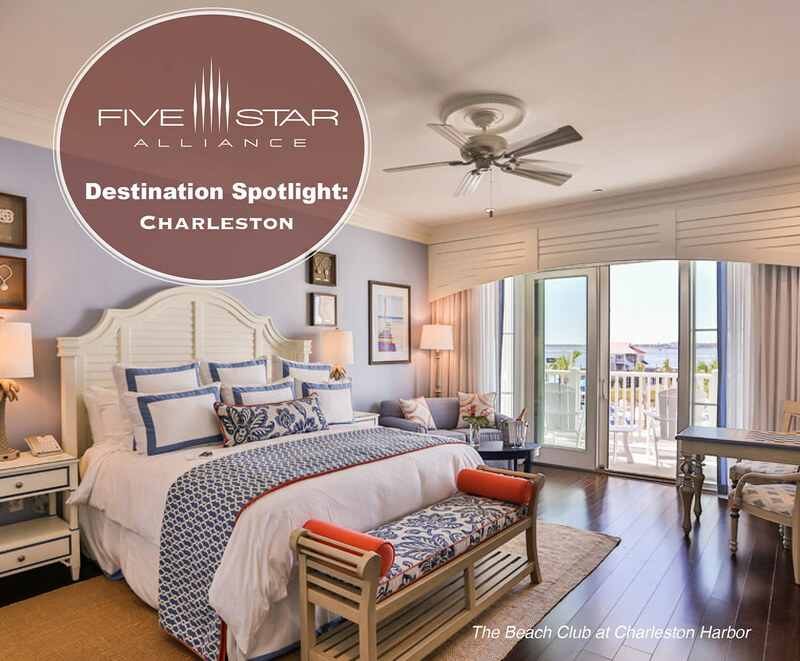 New to Five Star Alliance! Thompson Playa del Carmen brings not one, but two properties to this popular Mexican vacation spot. at the downtown location, or enjoy the intimate bohemian vibe at the Beach House. Take advantage of opening offers including the Opening Deal Getaway featuring 20% off the best available rates. COMO The Treasury is a new hotel in an old property. Housed in Perth's 140-year ­old State Buildings, which forms part of the Cathedral Square development, there are 48 elegant guest rooms and suites featuring original high ceilings, cornicing, and balconies. Facilities include two restaurants, a bar, lounge and library, which together provide a social hub for the city. Holistic therapies are available at COMO Shambhala Urban Escape, as well as a gym and 20 meter indoor pool. the spaciousness of its interior, the unrestricted far-reaching views of the surrounding mountains, and its great location. Barcelo Asia Gardens Hotel and Thai Spa embodies serenity, peace, and quiet. Its lush tropical gardens with more than 3,000 species brought from Asia, 8 spectacular swimming pools, 4 of which are heated, the choice of 8 restaurants, and a Thai Spa where one can lose all sense of time and regain vital energy, are just a few of the reasons. Located on the southwest coast of Goa, overlooking the Arabian sea, Taj Exotica Goa is one of the best five star hotels in Goa. Set amidst fifty-six acres of lush gardens, Taj Exotica is a showcase for relaxation with tropical-inspired design touches, grand architecture, a sun-drenched atrium, wide shady corridors, and flower lined patios for a memorable stay. Surrounded by lush tropical forest, El Mangroove mixes wood and water elements with contemporary architecture and natural furnishings. The whimsical resort features 85 sleek units, two restaurants, a spa, a gym and a long, cabana-flanked swimming pool. Hotel Mousai sets the pace for a new generation of designer hotels for guests aged over 18. A splendid yet precise fusion of imagination, contemporary design, and inventive functionality generates spaces of artistic magnitude and dazzling personality - a gallery of experiences and creativity. Each area is its own showcase, each room is a distinct work of art, and each space evokes a discrete emotion and character. At Hotel Mousai, guests can slumber in the height of contemporary exuberance and impeccable taste. Living spaces are redefined for modern appetites, merging cutting-edge minimalist design with aesthetic sensitivity and vision. These exquisite hotel suites are uniquely designed with the very latest trends in mind, where textures as well as colors and tones play a role in defining the space. Staying at Hotel Mousai means your source of pleasure is multiplied at every turn. Enjoy an all inclusive package gourmet-style at the Hotel Mousai. Be playfully seduced by Hotel Mousai's restaurants with melliferous menus and gourmet artistry, and touch base with garden-fresh ingredients and trendy presentation. Spa Imagine sits like the crown jewel on the fifteenth floor with 360 degree views of unspoiled ocean and lush rainforest. This luxury spa's sleek and spacious interior compliments a range of indulgent spa treatments and wellness retreats. In addition to Hotel Mousai's unique and exclusive amenities, guests enjoy unlimited access to all the services, benefits, and luxurious facilities offered by Garza Blanca Preserve Resort & Spa. Hotel Mousai offers both all-inclusive and room-only rates and caters to guests aged 18 and over.